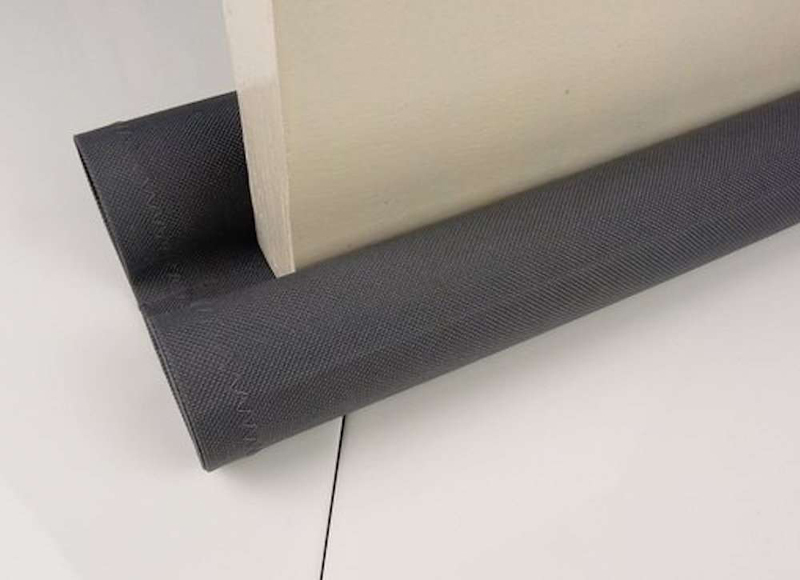 Double up on the cold-proofing in interior rooms with a dual-sided draft blocker. 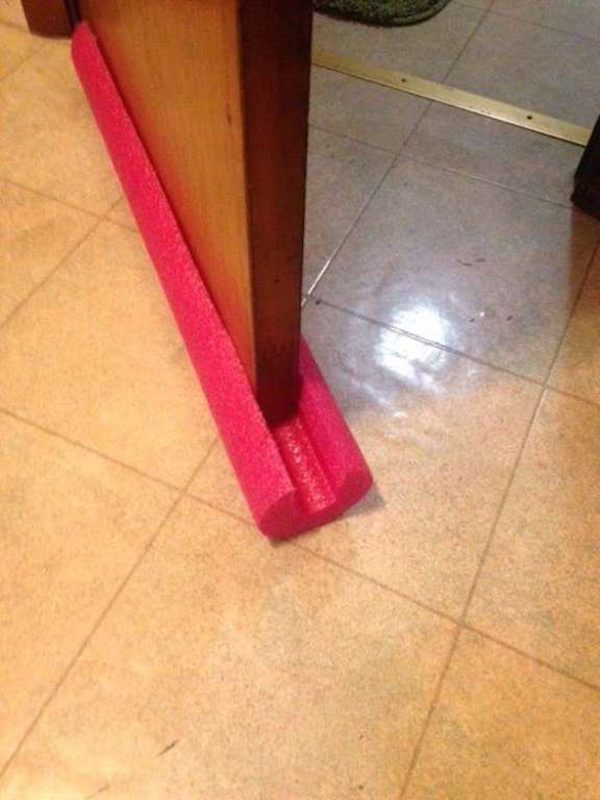 A rigid foam filling works best for this option. If you're particularly resourceful, you might try to sacrifice last summer's pool noodle for a little extra warmth this season. Create a draft dodger from natural-looking fabric and then attach "branches" to give it a lifelike look. 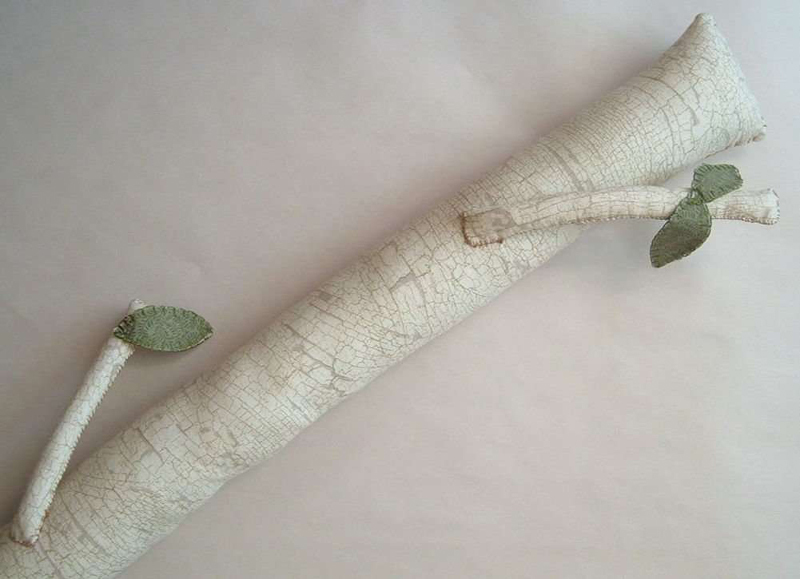 This faux tree limb is a darling yet durable option for keeping cold air at bay. 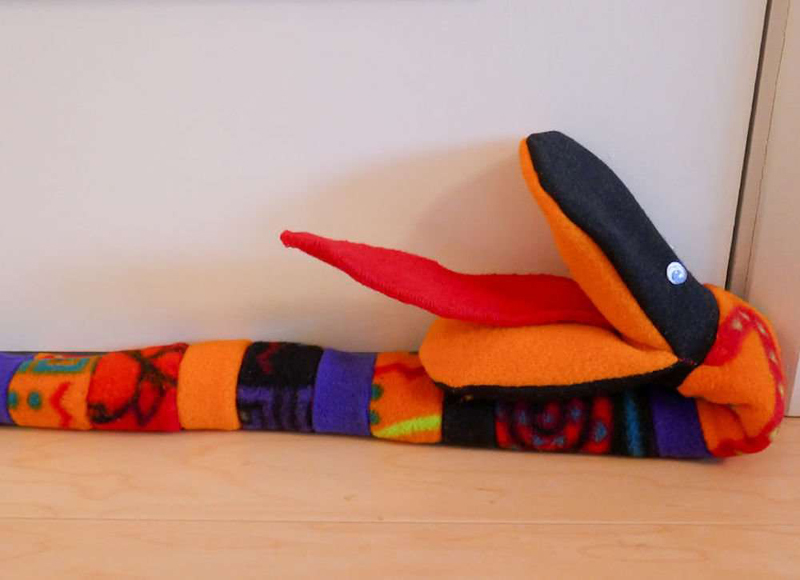 If you have children, it's likely that your draft snake may end up as a part-time toy—so go ahead and bring the kids in on the fun. Let them apply eyes, mouths, tails, and feet to already assembled draft dodgers (those shown here were filled with uncooked rice). Another one for the kids! Break down one of their favorite animated characters into its essential features for a comical take on the draft snake. 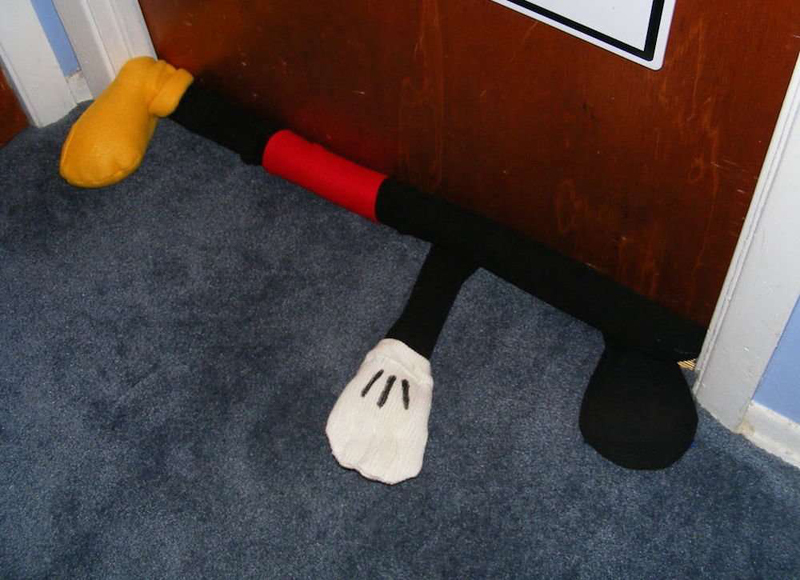 What children wouldn't delight at the sight of a beloved cartoon character sneaking into their room—and keeping them warm at the same time? 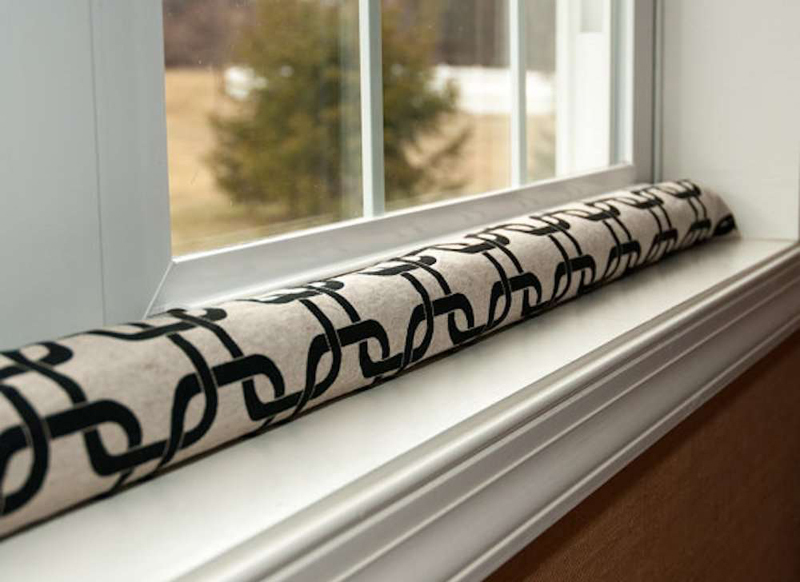 A DIY draft blocker is a great next step for beginning knitters ready to graduate from scarves. 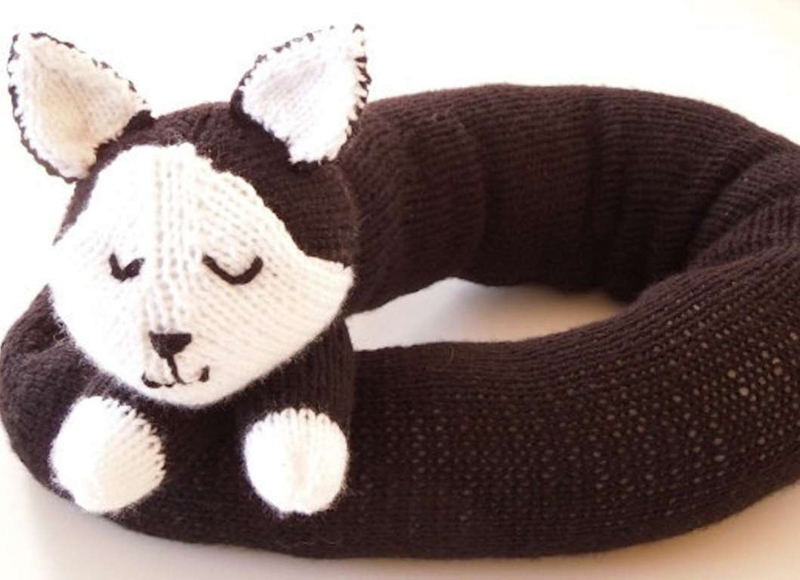 Take this opportunity to plunge into circular knitting, or, once they've knitted two identical rectangles, teach them how to knit two pieces together. 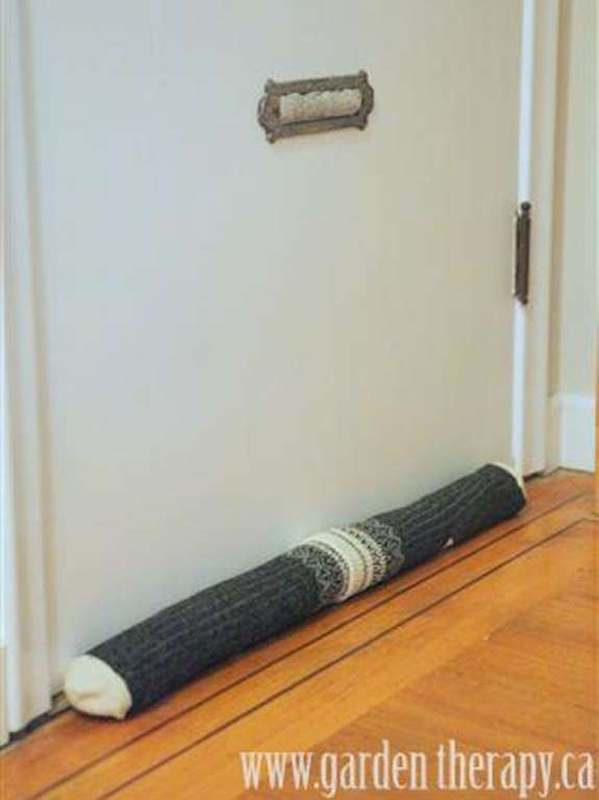 Even if you don't have any scrap fabric lying around, you may be able to make a draft dodger this weekend without having to buy anything. Find a couple of pairs of coordinated socks that are no longer suitable for wearing, stuff them, and stitch them together. Careful, the two socks on the ends can't have holes in the toes!